Campeonbet offer as many and different kind of for bonuses for new and already registered users and one of them and the most famous bonuses are for sports and casino. 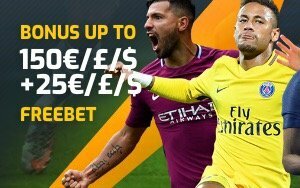 Campeonbet offers for sports bettors new registered – up to 150€ /£ /$ Bonus + 25€ /£ /$ FREEBET on your first deposit! 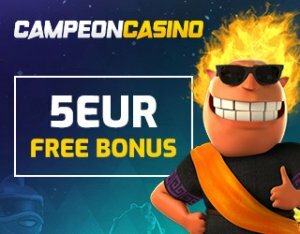 Check the steps you have to follow to get the Bonus by clicking https://www.campeonbet.com. For casino fans there is another bonus for new registration and this is much higher, than the sport bonus and there is €300 and the bonus is the type of 100%, so if you make Investments (deposit) of €300, you’ll get bonus of €300 and will has total 600 euro on your account. This is only for casino sections and there is a specific games where you can play as a supplier, but some of the games of Casino can be used for the bonus turn over but other will not be used. Please check the terms and conditions about the bonus for new customers for sports and casino. Registering at company Campeonbet and getting a bonus is not as difficult, as many people think so the main thing is to open the account by the button register now and then fill the blank fields with your information as information can being published correct so then you can make a deposit confirm the registration by your email and that’s it. Please fill the personal information carefully and correctly, because when you want to withdraw money everything must be correct, like your personal info, date of birth, address and other. To withdraw the bonus, players has requirement to turn over the combined amount of deposit and bonus at least 45 times, after affirmation into slots before to get the withdraw and to turn over the bonus in Casino. The total period is 30 days after the bonus is activated and then you can turn over it or otherwise the bonuses will not be active anymore so you can only has 30 days to withdraw. Not only new registered customers has bonus for sports and casino, but also this bookmaker offers Loyalty Program bonus for already registered players, which is 10%. What’s this mean – this is a reality bonus loyal program, where the program or the bookmaker refund 10% of the losses of each player. Make sure you read the terms and conditions, before applying for any of the bonuses provided by bookmaker. We analyse and make a review of new bonuses, when they are offered, so at all we can say company provide interesting bonuses for new and registered customers, no matter, that is a new company. Campeonbet try to get new customers and offered many promotions for their players.